After a vase of lilies’ had fallen oven onto our cream living room carpet and attempting to remove it ourselves – without success – I called Emerson for advice and to see if he could help! He was honest from the offset after asking what we had already tried in that he thought it may not come out, he said he would be able to call in on the Saturday to have a look. He called and looked and thought he may be able to, he agreed a price if he couldn’t do it and one if he could! He came Sunday PM and was very tidy and clean and above all – the stain has gone! Highly recommended, very courteous! Emerson was the most professional and capable young man with the nicest personality. He certainly is very experienced and knows his job well. I cannot speak highly enough about him and his standard of work. I was delighted with my lovely clean carpets and would 100 percent recommend him and his wonderful cleaning machine!! Emerson was thorough and is clearly very skilled. Extremely happy with the work carried out and advice offered to keep suite looking it’s best, definitely recommend! Emerson cleaned two carpets in my new house for me. He has done a great job and both carpets look brand new, if you need your carpet cleaning/ unable to buy a new carpet this is the person to call he is professional, friendly and knowledgeable. Thanks again Emerson it was a pleasure. Excellent workmanship. I couldn’t be happier. I now do believe in miracles. My relatively new sofa that still paying for was dirty and stained after many attempts and multiple purchases of cleaning products to try and clean nothing would shift it. The appearance of the sofa got me down as it made me feel dirty even though we are clean. I gave Elite a try not really knowing what to expect. Well it feels like we have a brand new sofa in time for Christmas. So happy, they take pride in Job recommend and would certainly use again. Thank you. This company is truly the best from all of the other companies I have used. 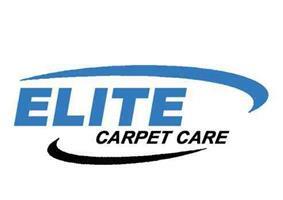 From having other ‘reputable’ companies coming out to do the work Elite Carpet Care have seriously transformed the carpets to a near new condition. I was talked through out the whole process including what was best for the carpet style. Once finished the difference is incredible and is a ‘night and day’ comparison from before. I was asked over and over again if I was 100% happy with the results which really leads me to believe they care for what they do.